Creative Medical ID Alert Bracelets and stylish jewelry custom engraved for men, women, children - Interchangeable Medical Bracelet ID Strand, no medical tag. Our very own stainless steel mirror-ball baubles are perfect for everyday wear. 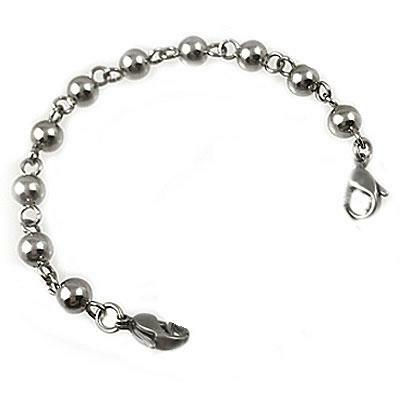 Balls are 6mm round and link together to complete this style. This bracelet is interchangeable so you can wear other Creative Medical ID styles with the same ID Tag! Caution swimming in chorinated water as it may damage enamel medical symbol.